UNIST has signed a memorandum of understanding (MOU) with the German-based Forschungszentrum Jülich (Jülich Research Centre), one of the largest interdisciplinary research centers in Europe. This makes UNIST the only university in South Korea to establish joint research centers with the three major research institutes (Jülich Research Centre, Max Planck, and Fraunhofer Institute for Chemical Technology) that lead Germany, a world leader in technology, engineering and innovation. Under this partnership, two organizations will establish a joint research center on the UNIST campus. 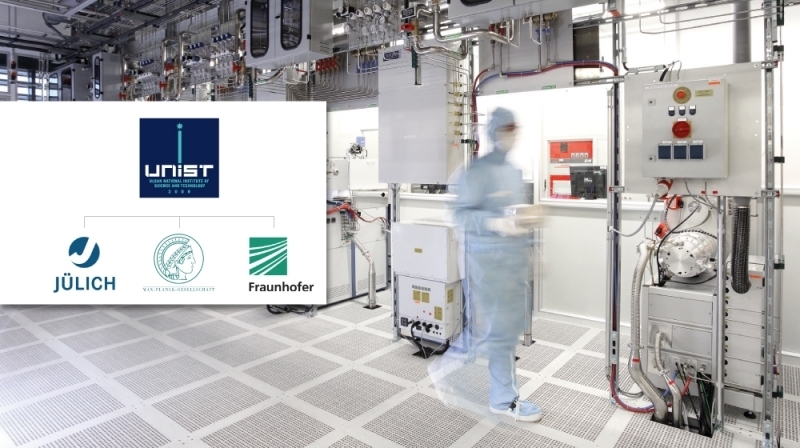 This joint UNIST-Helmholtz Jülich Future Energy Innovation Research Center aims to develop fundamental technologies that enable next-generation energy power generation. One of the largest interdisciplinary centres in Europe, Forschungszentrum Jülich has world class facilities including key technologies in the areas of energy, environment, IT and bioinformatics research. It is also a member of the Helmholtz Association of German Research Centers (HGF), a union of 18 scientific-technical and biological-medical research centers. UNIST has been strengthening its position as a leading research institute in Stem cell research and regenerative techniques through the establishment of the joint Max-Plankck-UNIST Laboratory for Molecular Biomedince Laboratory (MBL) and Hans Schöler Stem Cell Research Center (HSSCRC). In 2016, UNIST has also established the Korean Branch of Fraunhofer Research Group, the Fraunhofer Project Centre@UNIST (FPC@UNIST) to develop fiber-reinforced automotive composites and mass production technology for lightweight materials.